This is it! The final four teams are treated to a delicious South African breakfast before setting off on this penultimate Leg. 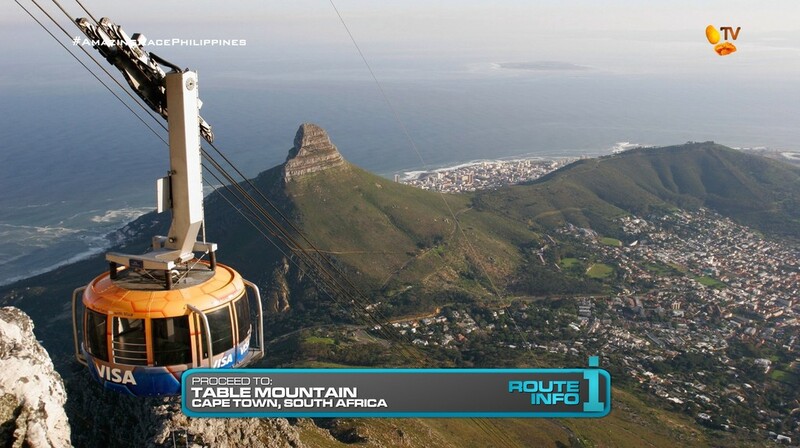 Choosing one of the waiting taxis, teams must return to Cape Town and find their next clue at Table Mountain. And that clue reveals the Road Block: Who’s ready to drop? 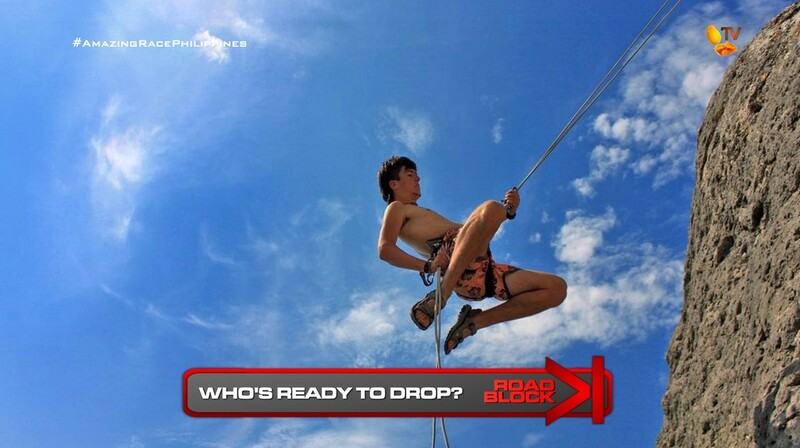 As this is the 12th Road Block of the Race, the team member with only 5 Road Blocks so far MUST complete this one. For this Road Block, teams will abseil down the side of Table Mountain, retrieving three Race flags along the way. They will be given the next clue when they’re back on solid ground. After the Road Block, teams will immediately learn about the Detour: Clean Clothes or Salty Smiley. 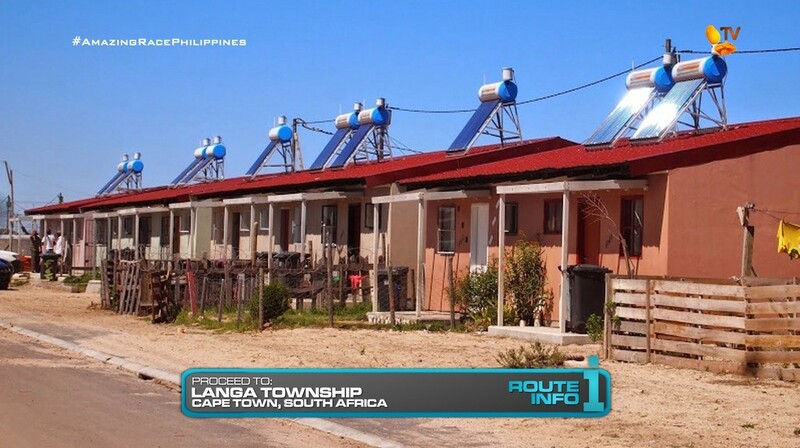 For both Detours, teams must make their way to Langa Township. In Clean Clothes, teams will help a local family with daily chores. After picking up a basin of laundry from a local home, teams must bring them to and wash them at the community water spigots. Once they’ve washed all the clothes and returned them neatly folded to the family, they will receive their next clue. In Salty Smiley, teams must buy a box of Epsom salts and a smiley. Teams will learn that a “smiley” is a roasted sheep’s head. They will deliver the smiley as an offering to a local traditional healer who will then make a potion out of the salts which both team members must drink in order to receive their next clue. 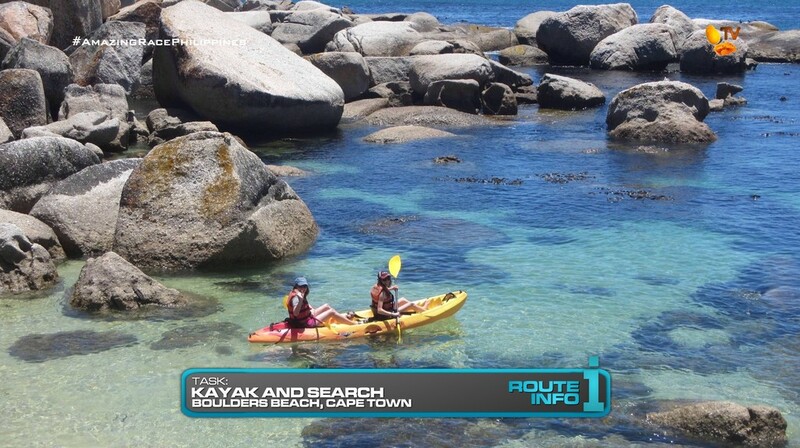 That clue directs teams to Boulders Beach. Teams must pass the penguins and hop into a kayak to help them search the coastline for one of four tapestries flying in the wind. Embroidered on the tapestry is the location of their next Route Marker. 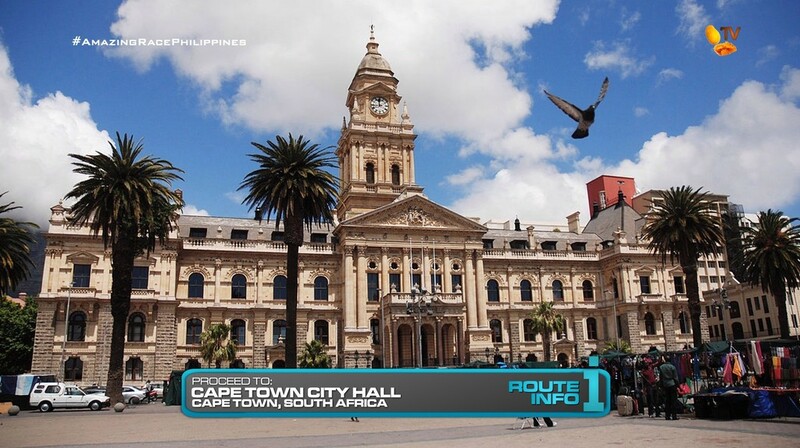 That location is Cape Town City Hall. All of the tapestries teams find have City Hall on them, but each have different overall designs. 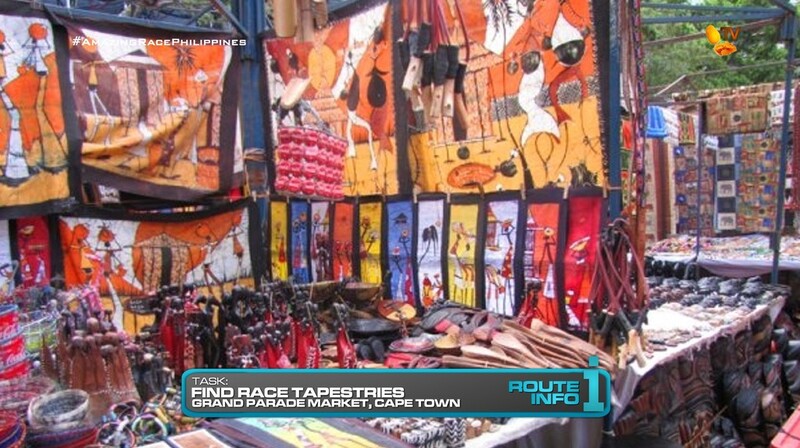 At this flea market in Grand Parade Square, teams must search for the four different sized panels that match and complete the tapestry already in their possession. Embroidered on those four pieces are the flags of each country they have visited on the Race. Once they have all five pieces together with the flags in correct clockwise order, they will be given their next clue. 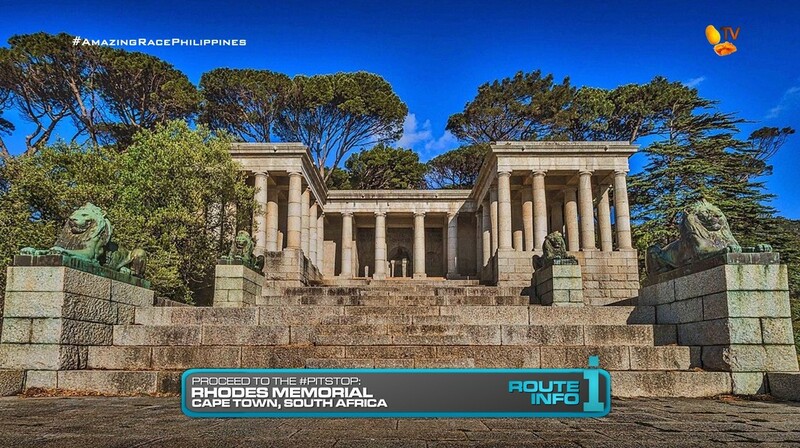 And that final clue directs teams to the Rhodes Memorial, the Pit Stop for this Leg of the Race. The top three teams earn a spot in the Final Leg. And the last team to check-in here WILL unfortunately be eliminated. So I think I like this Leg. It’s definitely a little more exciting than the last Leg in Paarl I think. The abseiling itself should be very thrilling. Plus think of those awesome drone shots! 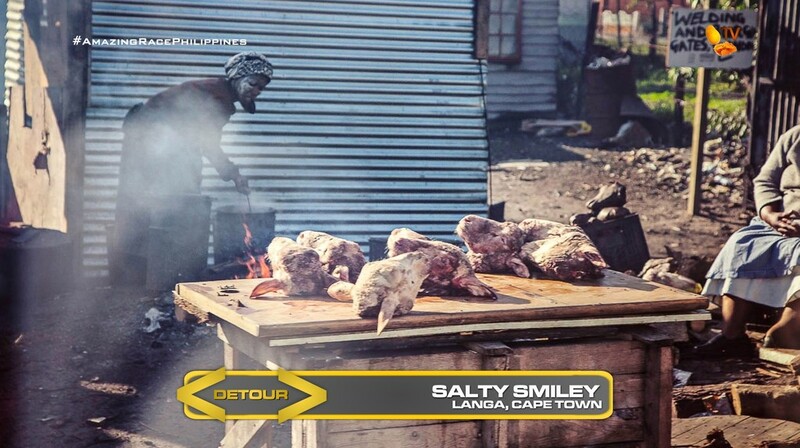 The smiley side of the Langa Township Detour is TAR2’s Road Block. (Wow, so old!) But having teams carrying around smileys should be fun, as well as drinking that potion. 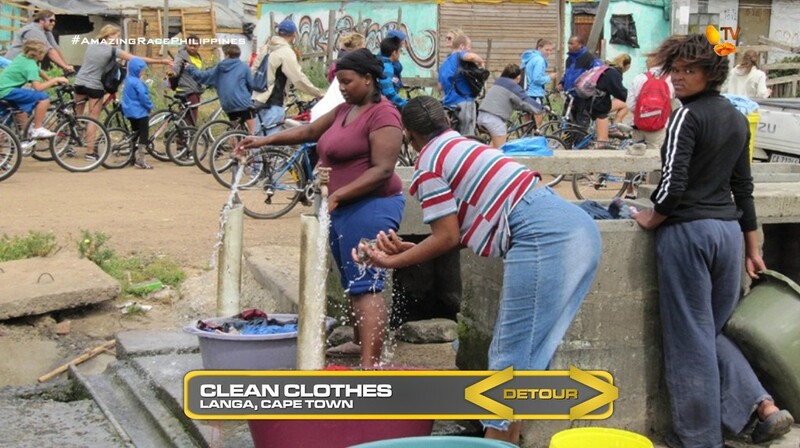 The laundry side of the Detour gets teams interacting with the nice locals. I like this Detour, but I believe this would be even better in an earlier Leg with more teams. 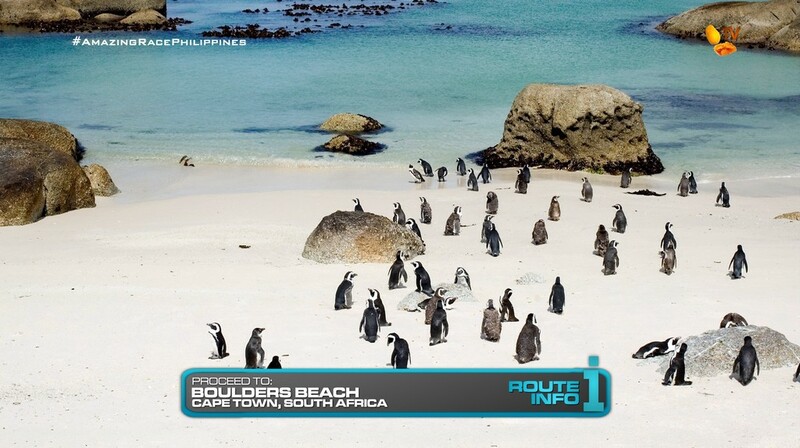 The visit to Boulders Beach and the penguins is just an extra Route Marker to fill out this Leg. It adds another water task that this season needs. And it works together with the final task of the Leg. I’ve made a habit of including pseudo-final memory tasks or Final Memory Task-lites to penultimate Legs. I think teams need to really work to get into the Final Leg. This final task here can be made challenging by having multiple possible panels that match with theirs, but have incorrect flags and such.